“US Airmail Service Begins,” Histories of the National Mall, accessed April 23, 2019, http://mallhistory.org/items/show/221. The first airplane carrying US mail left the Washington Polo Grounds, now in West Potomac Park, on May 15, 1918. 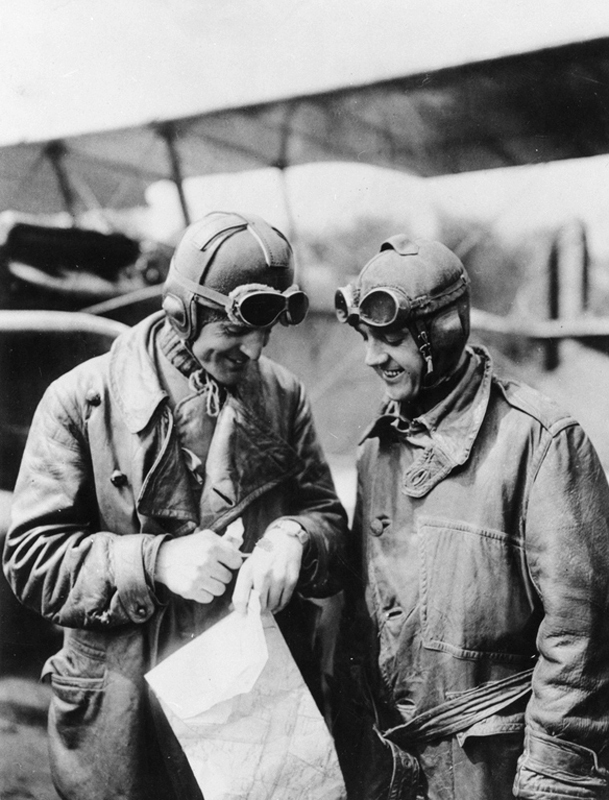 The US Post Office Department created air mail service to speed up the delivery of mail traveling between Washington, Philadelphia, and New York. President Woodrow Wilson presided at this event that drew a large crowd of spectators to the southwest end of the Mall. US Army Lieutenant George L. Boyle piloted the inaugural flight, but it never reached Philadelphia. Boyle crash landed near Waldorf, Maryland. After a rough first day, the post office began moving mail by planes regularly. Internal Archive, National Parks Service.